Georgia is in the midst of a doctor shortage, specifically within rural areas. The state plans to continue increasing its amount of medical school seats over the next few years in the hopes of educating the state’s future physicians. Georgia boasts a growing population and favorable wages for practicing clinicians. There are opportunities to serve uninsured and underinsured individuals within this state. It is also a demographically diverse state, exposing medical students to people with different cultures and backgrounds. Georgia offers beautiful scenery; with its mountains, lakes, and beaches, there is something for everyone in this charming state. Do you have Georgia on your mind? Considering applying to medical schools in Georgia? Sign up for a FREE 15 minute advising session with an admissions expert. How Competitive are you for Medical School Admissions in Georgia ? To determine your competitiveness for a Georgia medical school, you must review the average MCATs and GPAs for accepted students as well as the medical school acceptance rates. For out of state students, it is important to pay attention to how many out of state students are interviewed and what percentage are in the entering class each year. So, how difficult is it to get accepted into a Georgia medical school? Let’s review the data. Below are the average MCAT scores and GPAs, interview rates for in state and out of state applicants, acceptance rates, percent of entering class that is in state, and tuition for all medical schools in Georgia. So, what can you do to increase your chances of getting accepted into an Georgia medical school? Georgia medical schools accept applicants with a broad range of GPAs and MCAT scores, so when evaluating how competitive you are, be honest with yourself. Are your MCAT and GPA close to the metrics for accepted students? If not, consider retaking your MCAT or enhancing your GPA. It is important to note that the DO medical school within Georgia is actually a remote campus of Philadelphia College of Osteopathic Medicine. In terms of allopathic medical schools, Emory University School of medicine ranks 24th in the nation in research according to US News and World Report. 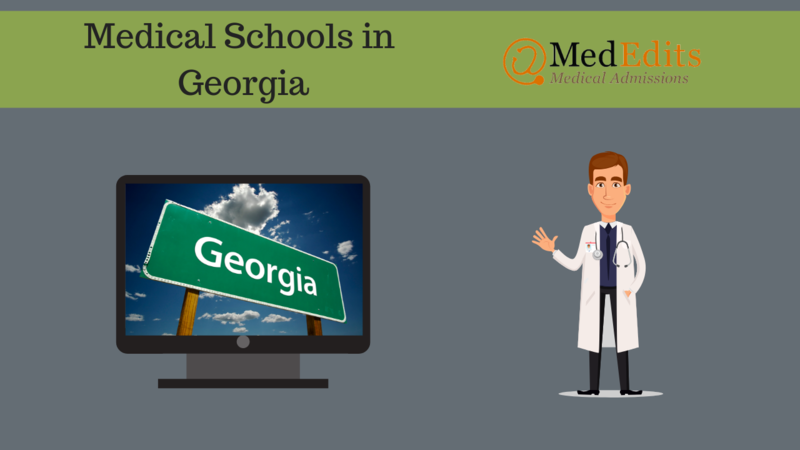 The Medical College of Georgia at Augusta University and Mercer University School of Medicine highly favor in-state applicants, keep this in mind when formulating your list of schools. Morehouse School of Medicine has a long history as a historically black college and university (HBCU). What this means is that Morehouse is committed to the education of black Americans. That being said, the school admits and matriculates a diverse group of students. With countless waterfalls, authentic southern cuisine, and a rich history, Georgia continues to attract some of the finest medical applicants, and for good reason!